SUQA is a new digital currency that has a new X22i POW algo. X22i algo is not a copy or clone of any old one but it is completely ASIC, FPGA and Quantum Resistant. SUQA project also have a newest feature that u can 5% apr interest from term deposits even if the wallet is offline. SUQA coin is fast (533 Transactions per second) and almost No Transaction Fees. This makes it unique comparing with other projects. SUQA project aims to create the hub with SUQA payments and without taking any fees. SUQA has a unique time-lock interest system for every user to earn deposits from their wallets without technical knowledge. Since SUQA project is a new, unique ASIC, FPGA, Quantum resistant algorithm is very helpful for the mining community and solves numerous problems for miners. 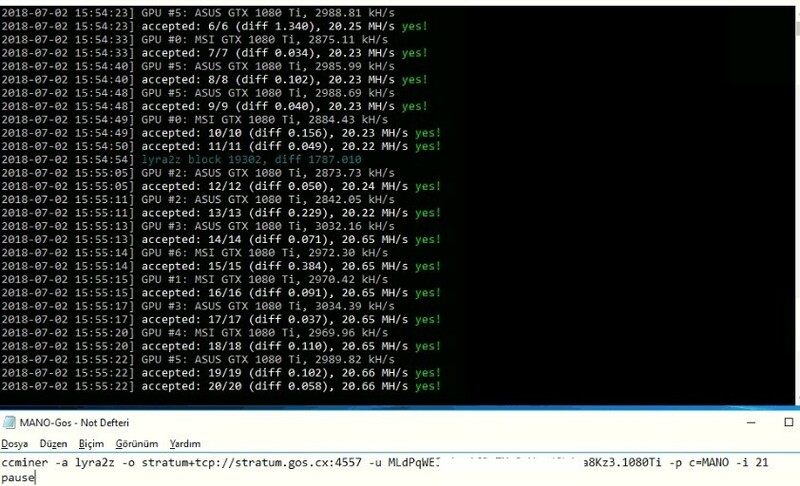 For example if you have a one GPU or only one rig you will be able to mine to the last block of SUQA without comparing any ASIC or FPGA device because SUQA will renew the algo every 6 months. In real life SUQA will support the its community by foundation activities like mining, donations, bounty campaigns. ect. SUQA coin can be mined by GPUs (Nvidia and AMD) and CPUs. But it is only possible to mine it profitable by GPUs. SUQA unique X22i algo is also energy efficient and make your GPUs to less heat. To mine SUQA coin 1) you need to find a miner software based on the GPU you have. 2) Download wallet and get a SUQA wallet address. 3) And then select a good pool. Suqa coin is now on 3 good exchanges. There 2 kind of wallets for Merit; Web Wallet and Desktop wallet. You can import your web wallet to desktop wallet as well. First you need an invite to get involved. You can use my user for invite i can approve it soon. It is “saphire”. When it says invite code u can write there “saphire” and i will accept your invite. Then enter your own username then wallet will generate a pass phrase, note it and save it. After this step you are in your wallet. Now how to mine Merit coin? and make your .bat file. MANO is a coin that you can mine by GPU and also a Masternode Foundation that investors will be able to click and launch a full their masternodes on the platform. Especially the investors who dont have a time to learn linux commands to setup a MN by using VPS servers. MANO Masternode Foundation has cheap one-click masternode hosting service provides investors to an easy click-work masternode service. MANO also has Shared Masternode feature that any investors who have any amount coin can join this service with only 2% fee. By Shared Masternode service featuring real time balance info, re-investments and share withdrawals. MANO project also planning to serve Masternode Exclusive Exchange and Node Monitor Companion Mobile App. By the Masternode Exclusive Exchange investors will be able to receive their rewards directly and trade them automatically not using any third party exchange web site. This is a revolution for Masternode hosting service. To mine MANO 1) you need to find a miner software based on the GPU you have. 2) Download wallet and get a MANO wallet address. 3) And then select a good pool. MANO coin uses Lyra2z algo. This algorithm is hardware and energy friendly. For Nvidia users you can mine MANO with ccminer 2.2 or alexis ccminer 2.2.5. AMD users you can mine it with Sgminer. But i offer you mine with tdxminer/0.2.2.2 to get best results. But this miner works only on Linux for now. Download the MANO wallet and wait it to sync. Please always use latest wallets. While it is getting sync you can take your receiving address clicking on “Receive” tab and then click “Request payment”. And now you are ready to mine. Mining MANO coin you will get this: MANO price is now ~$11 and you will get 0.155 coin and that means $1.75 with a GTX 1080 Ti. XDNA is a coin that you can mine by GPU and also setup 3 different tiers masternode and get three different masternode rewards. XDNA has Innovative multi-level masternodes concept that each type of masternodes has their own prize pool, so they share the chance of getting the reward only between other Full masternode owners. we put the harmony between miners and investors’ wishes and possibilities stands on the first place in XDNA. To make it possible for everyone to set up a masternode, we have developed three types of them. To mine XDNA you need to find a miner software based on the GPU you have. Download wallet and get a XDNA wallet address. And then select a good pool. XDNA coin uses keccak algo. For Nvidia users you can mine XDNA with ccminer/8.21-KlausT or alexis ccminer. AMD users you can mine it with Sgminer. Download the XDNA wallet and wait it to sync. While it is getting sync you can take your receiving address clicking on “Request payments”. Mining XDNA coin you will get this: XDNA price is now ~$1 and you will get $2.4 with a GTX 1080 Ti. In these days there are so many scam MN coins that annonse their project and sell some premined coins for Master Nodes and then they disappears. Before you buy new coins you should look at the project, team and if there exist roadmap. It is so clear that if one coin is a scam coin they first try to sell their premined coins and open a discord channel than they make auction on that channel. There is no exchange, no roadmap and only premined coins to sell. Generally the scammer coins use C11 or Skein algo for this. For example there was a EDGY coin that they sold so many premined coins and also people mined that scam coin but one day they closed their Discord channel, website and ANN topic and disappered. There are some new coins that could be spam. Some of them are listed below. Be careful investing them ! EDGY coin : scam. ANN Page erased. Discord channel closed. Web page closed. VIZZOTOP (VIZZ) coin : probably spam. No Block Explorer, No Exchange, bad roadmap. ULTIMA (ULT) coin: high possibility scam. Very Bad MN guide. People getting scammed in their discord channel. How to mine Mktcoin (MLM) ? Mktcoin (MLM) coin does not have a Windows wallet. You have to register the official site to have Mktcoin wallet addresse. And for the registiration you need a invide code. You can use the this link to free registration. When registration complited you got a Mktcoin (MLM) coin wallet addresse. Now you have a Mktcoin (MLM) wallet addresse to mine. And we need a miner now. How to transfer Mktcoin (MLM) to Exchange Market? And then go to Dashboard. 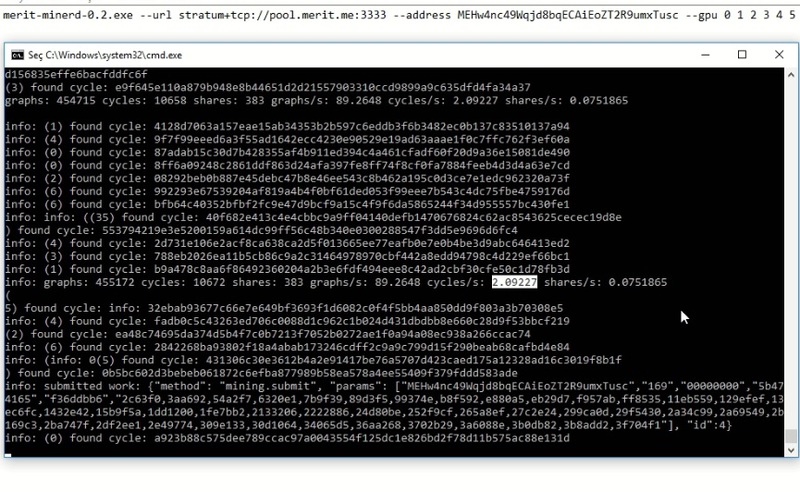 You will see your coins there as Hash. You will there Verify the data carefully before proceed. For instance we want to sent 10 MLM to our Exchage wallet. Select the options like below and click Verify. And you will see Token and Request. When you click Token a mail will send to your mail addresse including 6 digits numbers token number. Copy that number and paste the Token option. And enter your password in the password blank. Now click Request. Now it says Successfully. And you will see a Transaction in your balance screen. By clicking TxID you can foolow up yout Transaction. How to mine Raven coin ? 2. Download Raven coin Wallet for payment address and get your address. save your batch file and begin mining Raven coin. Raven coin algo is a new one and it mixed 16 different algoes and is needed much power instandly but not always. So if your PSU is weak than you will need power limit for your rig. You can do it by adding power limit to your batch file and decrasing your Afterburner power limit. How to mine Lux coin ? 2. Download LUX coin Wallet for payment address and get your address. save your batch file and begin mining Lux coin. Dowload Straks Wallet and synchronize. Then get a new Stak address. Visit https://datapaw.net pool address to see the pool address and port. In your .bat file edit your own .bat file and save it.